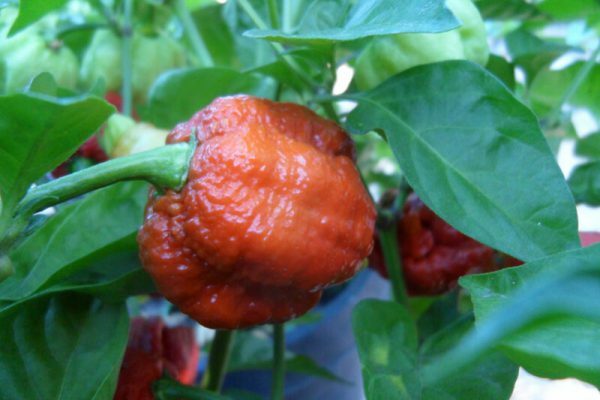 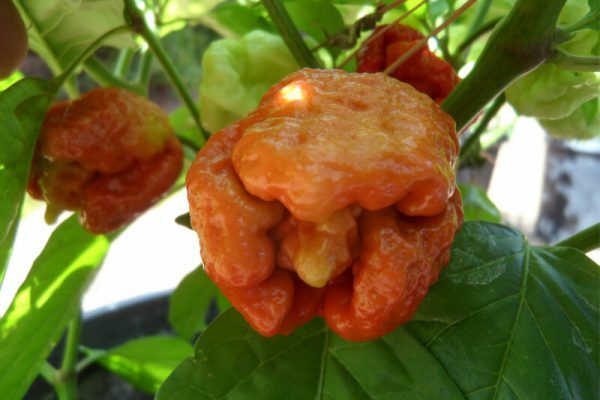 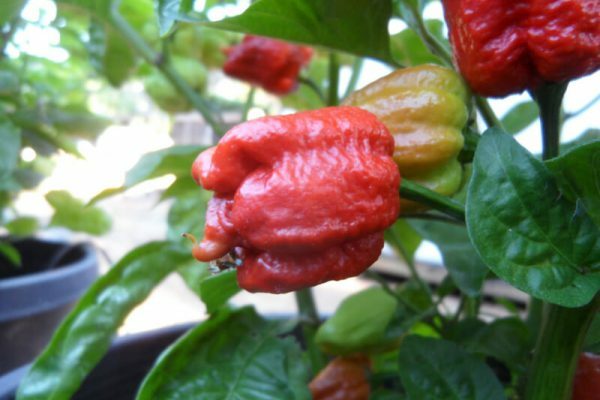 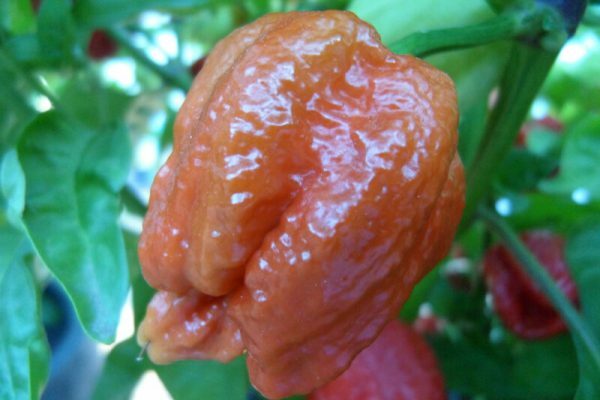 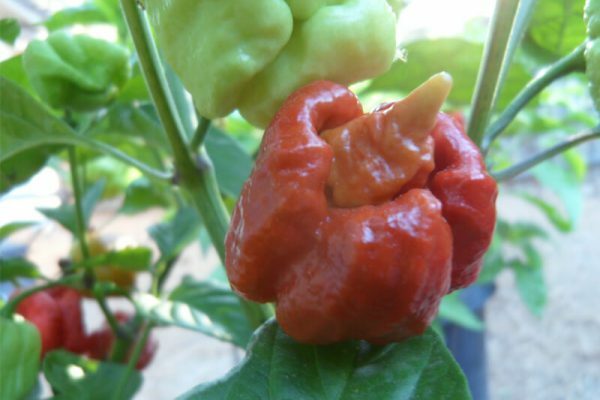 This is the very light brown variant of the Chocolate Moruga Scorpion. 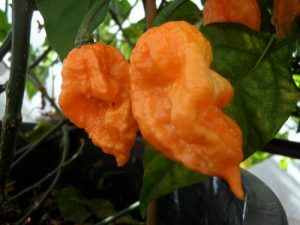 It is one of the rarest Moruga Scorppion types. 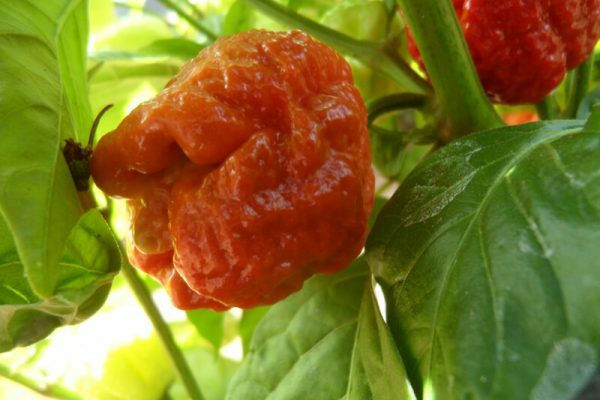 It is a little less heat than the Chocolate and the Brown Moruga Scorpion. 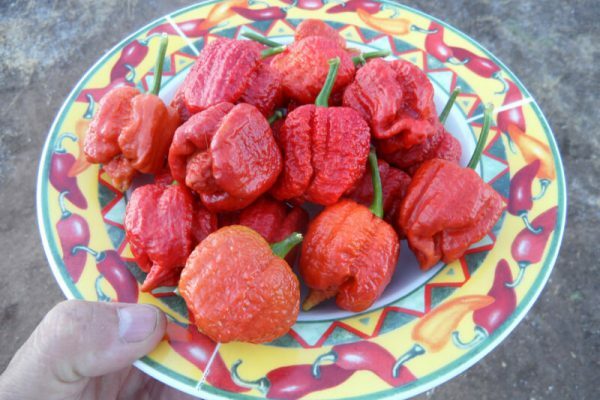 It’s also sweeter. 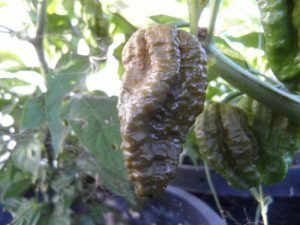 It is a very productive variety that puts out lots of peppers! 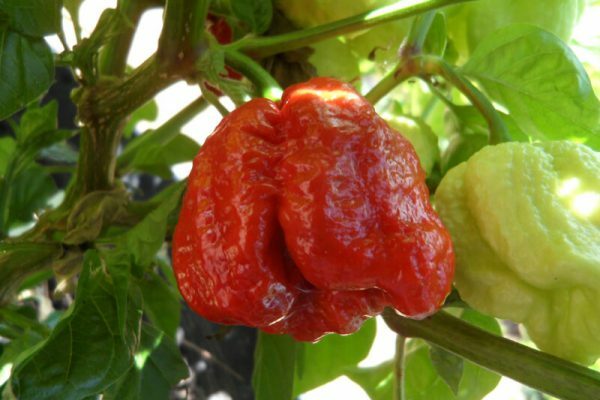 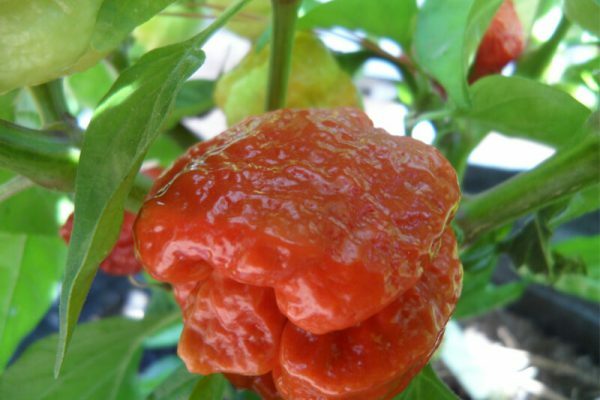 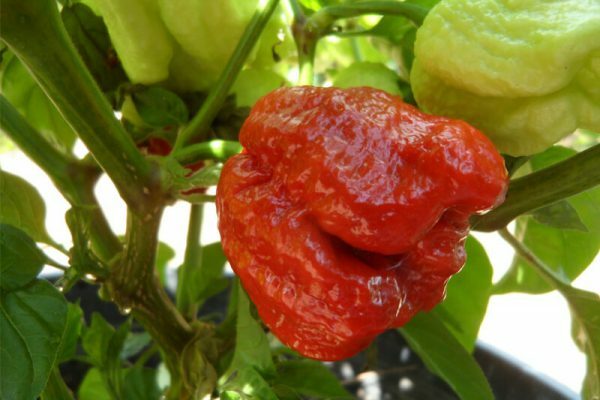 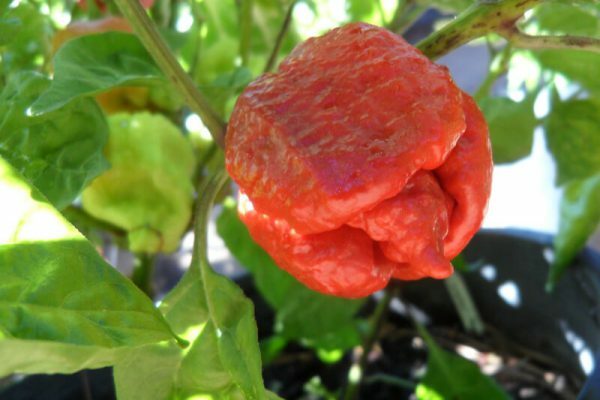 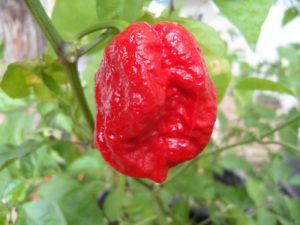 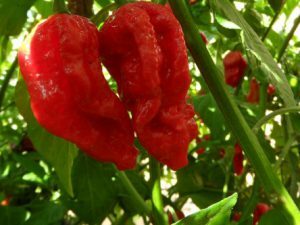 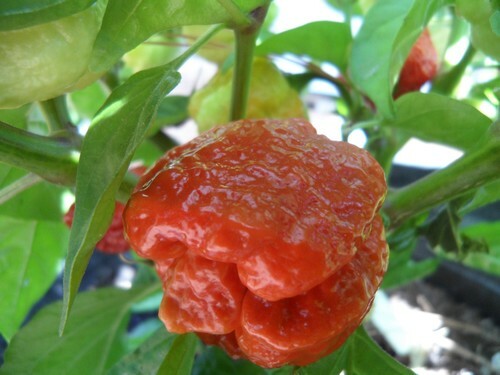 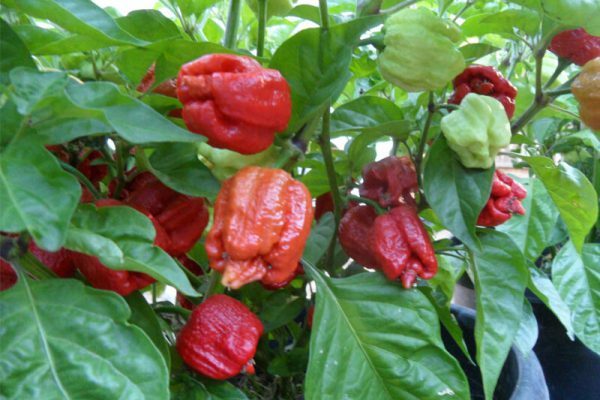 The Caramel Moruga Scorpion chile plants can grow to a height of 4 feet tall.